Polar Fleece Gloves - 3pk Just $5.99! Ship FREE! You are here: Home / Great Deals / Polar Fleece Gloves – 3pk Just $5.99! Ship FREE! Polar Fleece Gloves – 3pk Just $5.99! Ship FREE! 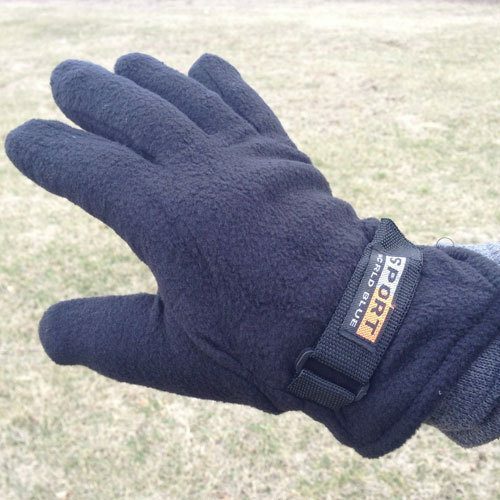 Order the Polar Fleece Gloves – 3pk for Just $5.99! Ship FREE! Stay warm this winter with these super soft Fleece Gloves. They’re 100% acrylic and have a hook and loop adjustable strap. One size will fit most men (it fits the larger hands in our office). You’ll get 3 pairs of gloves chosen at random. Click here to check out more Great Deals!